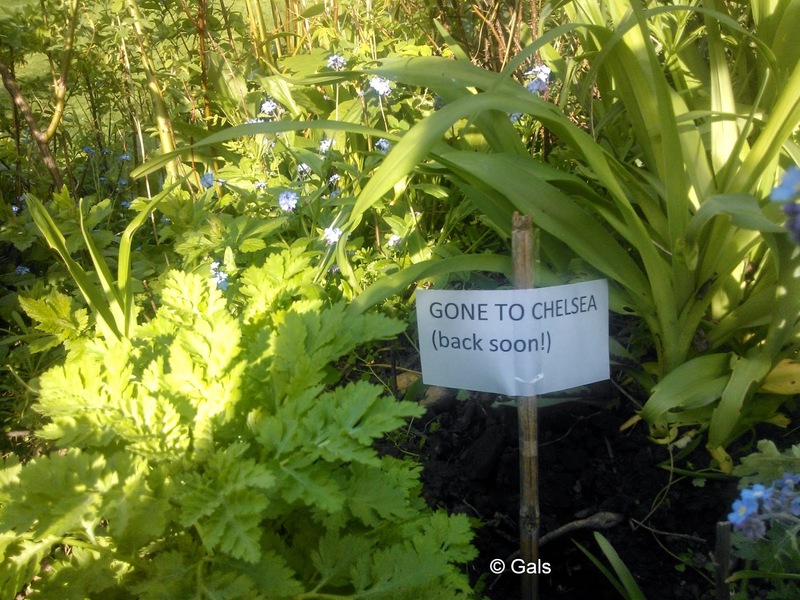 You know that other thing I do...the gardening thing............well this year, we're (Gals) are helping Debbie Cooke with her exhibit at Chelsea Flower Show, which hopes to capture the essence of Leamington Spa. We've been secretly growing plants in the park, and have now dug them up and are nurturing them and bringing them on in the hope that they'll look magnificent for May 20th to 24th. Fingers crossed please. Not daunting at all!